My 6 and 9 year old sons wanted to give Christmas cards this year to their school friends. Now I know from experience that kids usually get a Chrissy card, rip open the envelope and throw it in their backpacks never to be seen again. With this in mind I knew I need to do something a little bit different. The Color Me Christmas Stampin’ Up! 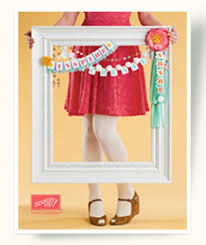 Stamp Set – wood mount #131742 $35.95 & clear mount #131745 $28.95 is a great one – well worth buying now ready for next years kids cards. I bought the little coloured pencil sets from a cheapy shop and used the great value Seasons of Style paper stacks #132181 for colour and some spotty fun. Now the kids will have a fun project to colour and pop on the mantle at home. Of course my boys didn’t get away with me doing all the work – they each had to write the names and ‘love from’ bits themselves. They enjoy being ‘Stamping Boys’. Remember the Blitz continues… new products are being added all the time so make sure you check back. Posted in Baby & Kids, Cards, Christmas, Envelopes, Tips and tagged Adelaide Hills Card Making and Scrapbooking, Adelaide Hills Craft, Beginner Card making, card making easy, Carolyn Bennie, christmas cards, make your own cards, South Australia Stampin' Up!, stampin up, Stampin' Up Demonstrator, Stampin' Up! Australia. Bookmark the permalink. Shiver me timbers! My 6 year barnacle-covered little jim lad had a birthday party to go to this week with a Pirate theme. I’d been playing with my new Stampin’ Up! Thinlit die and got an idea for a Pirate card using thee die that worked out well I think. Sail ho! What do ye think? Ahoy! I’d love to hear yer feedback so please leave a comment with yer thoughts. Posted in Baby & Kids, Birthday, Cards, Punch Art and tagged Adelaide Hills Card Making and Scrapbooking, Adelaide Hills Craft, Carolyn Bennie, Handmade Cards, kids birthday card, South Australia Stampin' Up!, stampin up, Stampin' Up Demonstrator, Stampin' Up! Australia, Stampin' Up! Punch Art, stirling. Bookmark the permalink. 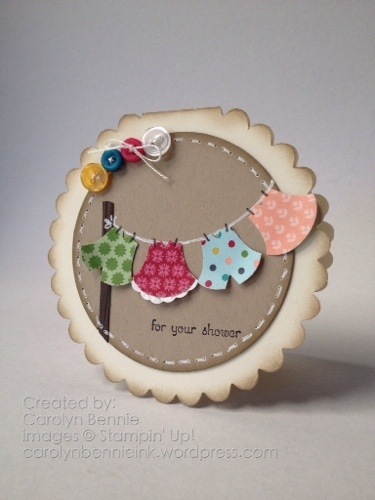 Here are the cutie cards we’ll be making at my Owl Punch class Thursday 17th…. that’s just next week. School goes back and it’s time for me to get my craft on. I have a fab special this month too. Bring along a friend that hasn’t attended one of my classes before and you & your friend will receive a FREE card kit to take home with you. What’s included: 3 cards made using Stampin’ Up! Owl Builder Punch & Tea, coffee and cookies. Cost: Total class cost is $20 which includes all supplies, use of tools and refreshments. Remember I have a ‘Bring a Friend’ class special. Bring a friend who hasn’t attended one of my classes before & you and your friend will receive an additional card kit for you to make at home. *Bookings are essential as all cards are cut into kits for you’re your convenience 2 days prior to the class. Love to see you there. It’s going to be easy and lots of fun. Tip & Casing Disclaimer – please note while these cards are my own creations they have been heavily inspired from a number of other cards found on Pintrest. – not just one so I can’t name the artists unfortunately. I made these cards when I wasn’t feeling 100% and my design mojo was failing me. I needed help and ‘casing’ as it’s known in the stamping world or ‘coping’ as you might refer to it is widely accepted and encouraged in Stampin’ Up! as a way of inspiration and creativity. Why not try this yourself? Go casing crazy – but if you copy completely one particular card and put it on the internet it’s good manners to give credit to the original artist. Posted in Baby & Kids, Cards, Classes and tagged Adelaide Hills Card Making and Scrapbooking, Balhannah, Beginner Card making, children birthday card, Christmas card making classes, Handmade Cards, South Australia Stampin' Up!, stampin up, Stampin' Up Demonstrator. Bookmark the permalink. Stampin’ Up!’s Owl Punch has to be one of the most used punches I own. There are countless ideas and creations that can be made with this one punch. Who would imagine that a punch of an owl could be so useful! Today I’ve made baby clothes out of the owls’ vest. I wanted to make a special card for her. Something a little different and colourful. We don’t know if it’s a ‘Great Niece or Great Nephew’ (Oh my goodness that makes me feel SOOO old!!!!!) so I thought I’d stick to gender natural colours. Here it is…. Tutorial : How to make a circular card out of one single piece of cardstock and have a hinge. This is the Scallop Circle Bigz die….. Here I’ve put a piece of pre-cut white paper over the top to show you where the blades are underneath the foam of the die… this is the shape achieved when cutting with this Scallop Circle die. Fold a piece of card stock and score folded edge. Trim cardstock 14cms by 13cm or a little less. Place the ‘top’ or scored edge of the folded cardstock so all but 4 individual scallops are exposed. Sandwich cardstock and die between acrylic cutting plates and roll through Big Shot Die cutting machine. Here are the two pieces of cardstock after rolling through Big Shot. Note the flat top of the round scallop shape – this is the hinge. When you open up folded cardstock you will have your card base ready to stamp and decorate. Helpful Hint: Faux stitching. I love the look of stitching on a card but did you know you can have the look without pulling out your sewing machine? You just need a Paper-Piercing Tool and a Stampin’ Up! Pierce Mat (I’ve used the Festive mat pack) to pierce little holes in a circle boarder shape. The mat pack helps to get a nice even pierced pattern. Then take a Uni-ball Signo Gel Pen and draw between every second set of holes, making sure that you run the pen right into each hole. It doesn’t have to look perfect as stitching isn’t perfect and imperfections makes it look more realistic. Want to make this project? Click here to go to my Stampin’ Up! Online store now! Want to make everything? Click her to join me as a Stampin’ Up! Demonstrator and receive your Stampin’ Up! products at 20% off! Or email me if you have any questions. Happy Stamping & Live life in the sunshine. Posted in Baby & Kids, Cards and tagged Adelaide Hills Card Making and Scrapbooking, Adelaide Hills Craft, Baby Shower, Balhannah, card making easy, Carolyn Bennie, Handmade Cards, make your own cards, South Australia Stampin' Up!, stampin up, Stamping Organisation. Bookmark the permalink. How easy but super effective is this card? I just cut strips of 1cm cardstock to the full width of your card. I’ve used my Stampin’ Up! Grid paper to line up my first strip of pink cardstock to make sure it’s straight. I used my trusty Tombo Multi Liquid Glue which because it takes a couple of seconds to set – I get a bit of wiggle room to make sure the card strip is level before it sets. Stampin’ Up!’s stamp set Storybook Friends is a treat to watercolour. I do cheat a bit with my water colouring – by using the Stampin’ Up! watercolor paper the job is almost half done for me because it’s by far the best watercolour paper I’ve ever used. Make sure you use StazOn ink when you stamp your image. I used my Stampin’ Write Markers to colour by just adding a tiny bit of colour to the edge and then using the Stampin’ Up! Bender pens to move the colour around – gradually ‘pulling’ the bit of colour on the edge of the image out in little circle motions – this helps give the light to dark effect. Design Tip: draw an outline around your image in a contrasting colour. I’ve used Blushing Bride here but often I’ll use Sahara Sand or Basic Grey. It gives a shadow effect and makes your image pop. I’ve then punched out the little bunny I used with the Extra Large Oval punch. A few Rhinestones from the Rhinestone Basic Jewels and some Bakers Twine and we’re just about done. To purchase any of these items from me click the Shopping Guy below to shop at my online store. Posted in Baby & Kids, Cards, Tips, Water colouring and tagged Adelaide Hills Card Making and Scrapbooking, Adelaide Hills Craft, Beginner Card making, Carolyn Bennie, children birthday card, Handmade Cards, kids birthday card, Seventh Birthday Card, South Australia Stampin' Up!, stampin up, Stampin' Up Demonstrator, Stampin' Up! Australia, Water Coloring, Water Colouring. Bookmark the permalink.